I’ve been teasing everyone regarding the big GovLoop news for a couple weeks now. And I’m excited that it is official and I can share the good good news. Andrew Krzmarzick is officially joining the GovLoop team today and will become the official GovLoop Community Manager. This is another huge step in a march to take GovLoop to the next level of awesomeness. -A few weeks back, I went full-time on GovLoop turning my passion into a job (and single-handly helping out my local Panera bread with my daily presence). -Last week, GovLoop reached its 20,000th member – making it larger than US Dep’t of Labor, US Dep’t of Energy, State of Illinois, and the Fleet Center (Boston Celtics stadium). -And this week, we’ve hired an amazing community leader. I kind of feel like I’m Paul Pierce of the Boston Celtics and I’ve just landed Kevin Garnett (a more talented, awesome center). Next step, is my search for my Ray Allen to round out the team and it is off to win a championship. My relationship with Andy is one of my favorite GovLoop stories. 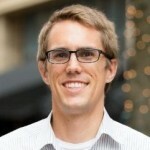 I did not know Andy when I started GovLoop but a few months into I noticed this guy from USDA Graduate School (Andy) writing some really insightful blog posts and comments on GovLoop. Then, I launched the first GovLoop contest where the person who recruited the most members won 3 free executive coaching sessions (with the amazing Jeffrey Ward of Northward Leadership)…guess who won? Next thing you know it Andy and I are both presenting at the ASPA National Conference in Baltimore sharing beers and our ideas/vision for public service. Fast forward one year later and Andy is one of most trusted colleagues and friends in public service. We’ve spoken together at over a dozen events and Andy is one of the true visionaries around the next generation of public service bringing insights related to web 2.0 technology, generation research, and telework. Together we launched iampublicservice.org where we highlighted the stories of 30+ public servants and why they service in a powerful e-book. We’ve shared many phone calls together, dinners with our partners together, and discussed what we both view as our callings. Andy is the perfect person to serve in the role as GovLoop Community Manager. In this role, Andy’s purpose is to serve you – the community. -How can we further increase collaboration amongst the current members of GovLoop? -How can we do better outreach to potential members who would love GovLoop? -How can we better connect disparate conversations and turn them into knowledge solutions? -How do we move from solving 5-10 government problems daily to 50-100 government problems? As always, GovLoop is not about me and it is not about Andy – it’s about the community. Andy will be leading the amazing GovLoop Community Leaders in shepherding changes across GovLoop and we are looking for more dedicated volunteers committed to improving government on a range of fun activities. Email Andy ([email protected]) if you are interested in helping out. Congratulations Andy – am looking fwd to continued engagement!! Congratulations, Andy! Thanks for helping us connect more and better! Wonderful that you were able to bring on someone with enthusiasm, knowledge, and experience. Kudos! If you want predictable phenomenal results, you need a phenomenal team. Yah!